Friday afternoon’s activities had a large group of students gather down the beach for my favourite activity; Surfing, Body Surfing and Body Boarding! We had Luke take the students through a body surfing and board boarding lesson, while Anj took the challenge in teaching the students surfing techniques including; where to lie on the board, how to paddle and how to stand up on a surf board. Once we completed the theory lesson the students eagerly jumped in the water to give surfing a go. With poor conditions; no swell, heavy easterly wind and low tide, it was a challenge to get some waves. 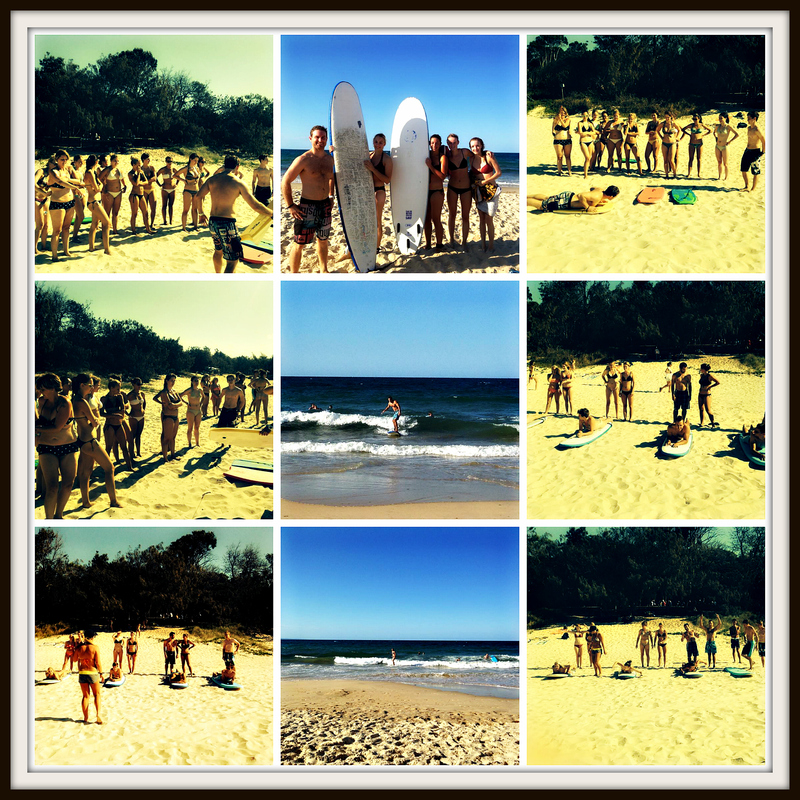 The students managed to catch a few waves with Peter (Czech) and Lisa (Swiss) impressing us all with their surfing abilities! This entry was posted in Uncategorized by Lexis | Noosa. Bookmark the permalink.